Embracing children's natural curiosity, at Kindergarten, we relish "why?". Children grow as happy, independent learners in our rich and beautiful Montessori Kindergarten environment. 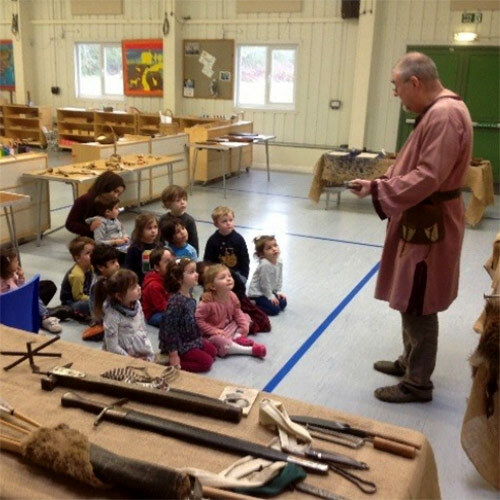 During their time at Artisans Kindergarten, pre-school and nursery-age children, from Harpenden and Hertfordshire, are prepared for a successful school career of discovery and pleasure. Following the Montessori Kindergarten methods we observe and plan your children's day - in response to your unique child. Providing opportunities for their holistic development in a way that cherishes them. 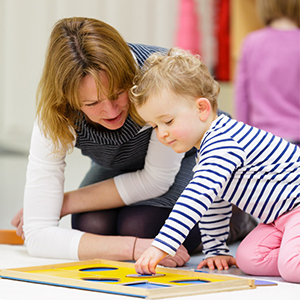 We are professional trained Montessori Kindergarton or Primary school teachers. And our teachers' compassion, fun and a thirst to learn is at the heart or everything we do. We offer accredited Montessori Teacher Training at Artisans, too, and can take teaching students through their NQT year for Qualified Teacher Status. We have a long standing, core team who love professional development and love being part of Artisans Kindergarten. Forming positive friendships and being fluent in social etiquette creates happy life experiences. Artisans' community - in our Kindergarten in Harpenden - is a diverse environment in which to learn, be taught, watch and try social skills that bring much pleasure to the children in our care. Each child, at Artisans Kindergarten - Harpenden, is constantly absorbing and reflecting the love and experience of many different relationships. All parents, carers, siblings, grandparents, and more, can engage with Artisans through each child's unique website - where we upload weekly observations and news relating to your child. Our extended drop off and collection allow daily conversations between you and us, too. We provide many more engaging opportunities for your child's development, during their time at Artisans, including: cooking, dance, nature walks, messy play, yoga, music and external visitors for our exciting Kindergarten topics.